It’s March Madness time. 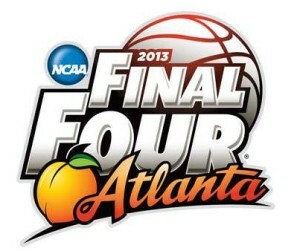 And even people who don’t have a clue about sports know that means the NCAA basketball tournament is getting underway. It should also be a reminder of how you can do better at “getting noticed” in the media. March Madness is one of the most popular sporting events in the country. That didn’t happen by accident. One of the big reasons for its success is that the schools and breathless sports reporters created a whole series of catchy, memorable phrases to describe the tournament. Along with March Madness, the lexicon includes the Big Dance, Selection Sunday, Bracketology, Sweet 16, Elite 8, Final 4, and more. All point to something about the games and create a kind of special lingo players, coaches, fans and the media all use and understand. The lesson here is that like the NCAA, a great way for you to score points in the media is by having your own catchy phrase that will help people remember your message. It can’t be forced or corny, but something simple and seemingly unrehearsed (of course it will be rehearsed) that captures what you are trying to say. Think about the great corporate slogans– “Just do it,” “We bring good things to life,” “The king of beers”– they are both memorable and say something about the company and/or its products that paints the firm in a positive light. That’s exactly what you are looking to do for yourself. So, what word or phrase helps explain what you want to convey? If you don’t already know, take some time to consider what it is that makes your message stand out from the crowd. Then create a quick and simple way of expressing it. By having a strong “slogan” of your own, you will really help yourself excel in another “Big Dance”– the competition for good media coverage.